You're going to want to know if your (1984-1995) Toyota 4Runner has been recalled and why. Here's how to respond if your 4Runner has been recalled. The 2nd gen Toyota 4Runner is a solid truck with across-the-board high ratings for dependability and extreme off road capability. However, a few safety issues have been diagnosed, and some vehicles have been recalled by Toyota so these issues can be fixed. Before explaining what those fixes are, let's go over the difference between a safety recall and a technical service bulletin (TSB). A safety recall is issued whenever a safety issue is diagnosed in a vehicle. A TSB, on the other hand, is issued as an update and covers new parts that are currently available. Toyota recalled the 2nd gen 4Runner because of a faulty head gasket (e.g., high oil and coolant consumption, leaks, etc.). Not all vehicles will qualify, however. 4Runner owners are encouraged to contact their local Toyota dealer for additional information. Toyota is required by law to contact consumers who are eligible for free repairs in writing. Figure 1. This picture shows a leaky head gasket. Select 2nd gen Toyota 4Runner trucks will not shift into overdrive until the coolant reaches a certain level. This is a safety issue that requires professional expertise. Only owners who qualify for free repair work under the recall will be contacted by Toyota to set up a service appointment. Figure 2. Shifting into overdrive is problematic for some 4Runner owners. Additional recalls have been issued for a faulty steering relay rod in the 1990-1995 4Runner. The recall notice warns that Toyota has identified cracks in the rods and requests all eligible owners to seek immediate assistance. If the rod is not corrected, a crash could occur, making this a serious safety concern for not only the driver but other motorists on the road. All repair work will be done free of charge. While encouraged, it is not necessary to have your 4Runner repaired by a Toyota dealer. If you opt to have your truck serviced at a local garage, contact Toyota direct for a full reimbursement of your costs. Figure 3. 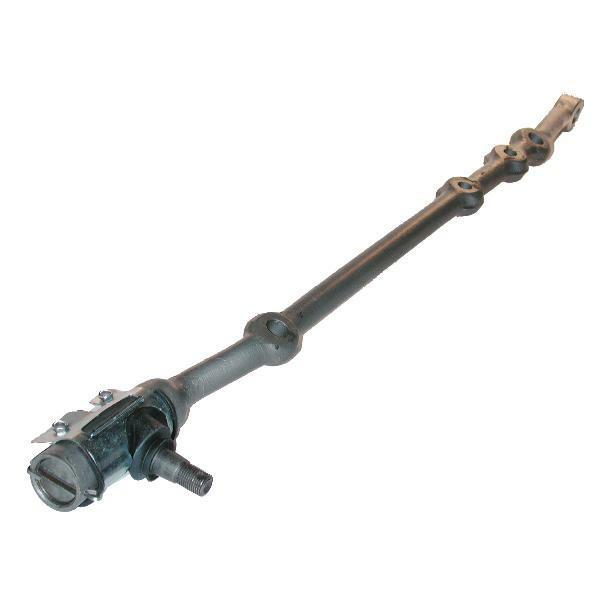 This is a generic steering relay rod. The 1992 4Runner received two TSBs for safety issues pertaining to the center head gasket. The same TSB was issued for the 1991 4Runner as well as the 1990 4Runner. In all cases, an adjustment or replacement was needed to eliminate risk of a future problem. Any repair work done on a 1984-1995 4Runner (pertaining to the above-mentioned TSBs) will need to be paid for by the vehicle owner. How do I contact Toyota directly? If you have questions about a recall or TSB, you may contact Toyota directly by calling 1-800-331-4331. What if I notice additional work is needed after my vehicle is fixed? Simply contact your local Toyota dealership. As long as the additional repairs pertain to the recall, you will not incur any additional costs. Why isn't my 4Runner part of the recent recall? Recalls pertain only to those vehicles that have or could have a specifically diagnosed safety issue. In some cases, only vehicles from a specific assembly plant may be recalled, or only certain model years may receive a TSB. If a vehicle identification number (VIN) is not part of a recall, then the owner will not be contacted.